To promote the cognitive development of babies, you should train their already mature abilities in order for babies to reach the next stage of the cognitive development. Therefore, if you want to promote the cognitive development of babies, you need to know how their intelligence develops. Furthermore, it’s necessary to know their already reached developmental level. Of course, that implies knowledge of their emotions, motor and perceptual abilities, experiences… Also, in order to stimulate children”s learning motivation, even more, it is necessary to see for what babies show interest in. So, promoting cognitive development in babies must be in accordance with their developmental abilities and interests. In the following article, you will be able to read about the 8 ways on how to promote the cognitive development in babies those are in line with their general developmental characteristics and interests. Imitative plays are very good methods to promote the cognitive development of babies. Babies start to play imitative play about 18 months of age. Until then, babies only play one type of play called a functional play. Playing it, they practice the abilities which they already learned. However, imitative games can also be very important for a baby, but only if an adult plays it by imitating a baby. Therefore, you should imitate movements and voices of your baby in front of he/she. In that way, you will prepare the baby for learning through imitation and promote his/her cognitive development. After 8 months, you can already encourage the baby to repeat some more complex actions that you take in front of him/her. For example, punch objects one by one and encourage your baby to do the same. You can also mix the spoon in the cup, so ask the baby to repeat that. 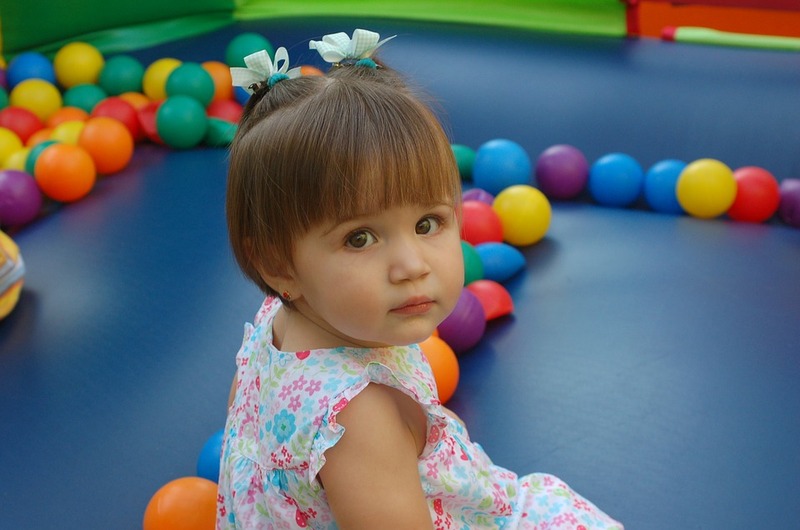 By exercising the actions for which babies have already matured, they can explore subjects as well as their abilities. Of course, this is the great way to promote the cognitive development of babies. For example, learning to crawl, babies actually learn the way by which they can move in space. On further, exercising crawling, babies learn that they can go to many different items that aren’t near to them by this action. Consequently, the independent approach to the objects those interest babies stimulates their motivation for the further exploring of objects and space. Of course, that promotes not only the cognitive development of babies but the development of their perception as well. One more example, if babies have mastered the movements of throwing, they will repeat that action on different objects. Then, they will learn which items jump from the surface, such as balls, and which don’t. To promote the cognitive development, you should show objects to your baby which he/she has already met. You should especially show objects to your baby for which he/she has already shown interests. On already known objects, babies can try new actions for which have matured. In this way, babies learn even more about the properties of the object and develop their intelligence. For example, giving the ball to a baby for the first time, the baby will only look at it. When the baby overcomes the ability to throw, by repeatedly giving the ball, the baby will throw it away. Then the baby will learn that the ball jumps out of the surface. Babies like to manipulate already known objects, but they also like to meet new ones. New objects serve babies to try actions for which they are already capable. That’s why babies put new objects into their mouth, shake and throw them, … In this way, they learn about objects. They explore the functionality of objects and perceive objects’ characteristics. Babies have no awareness that objects and persons which aren’t in their field of vision exist. Adults can teach them that through hidding games. Therefore, you should conceal various objects in front of your baby and encourage he/she to find those objects. At first, the baby certainly will not reveal objects him/herself, so that is what you should do. Although babies still don’t fully understand these games, hidding games are very interesting for them. Try it and see for yourself! You shouldn’t hide the resources of this game completely at the beginning. You should hide them in front of a baby so that some of their parts remain visible. When your baby becomes able to discover a partially hidden object, you should completely hide the object. Basically, baby acquired the ability to find completely hidden objects in the coming period, i.e. at the age of 12 to 18 months. Cover your face with a scarf and ask the baby “Where am I?”. Don’t expect your baby to find you right away. First, remove the scarf from your face and say, “I’m here!”. When the baby realizes that an object or person exists when they aren’t in the baby’s visual field, the baby will pull the scarf from your face by itself. You should show your baby that goals can be achieved with the help of different means. For example, at the reach of your baby’s hands, place some twine whose dragging can trigger some toys or can cause some sounds. Of course, before the baby learns to use the same, first show them how to do that. In order for babies discover the connection between the cause of some action and its consequences, it’s necessary to perform that specific action in front of them For example, press the doorbells in front of your baby and listen its sound together. So, first, you should perform the actions, showing the baby its effect. Later, the baby will do the actions on their own and gradually notice the connection between causes and consequences. Lift your baby to the light switch, then turn light on and off. Of course, talk to the baby about that action explaining that the light goes on and off by pressing the switch. The baby will show curiosity for your action certainly. At the same time, the baby’s intelligence will develop. The baby will learn that certain actions lead to certain consequences. Joint activities with a baby should last as long as the baby has an interest in those. If you notice that a baby doesn’t show interest in a particular activity, feel free to interrupt that activity. You can try to get the baby’s attention next time. Provide a variety of objects for a baby. That doesn’t have to be expensive toys. You can use for that purpose ordinary objects, such as brooms, paper, soap, plastic glasses and spoons… Of course, it’s necessary that those objects don’t have sharp edges, fragile material, or aren’t so small that a baby could swallow. Is very good to read books with babies. For that purpose, you should use books with many pictures to attract babies’ attention. Your child will love exploring all the animals on the farm with these adorable personalized products! 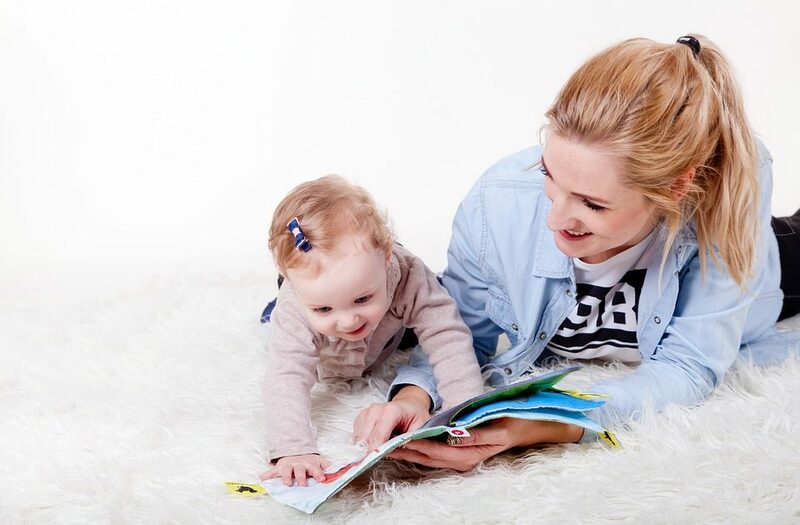 Watching pictures from books, babies develop their attention, memory and good habits. Introduce new objects for a baby to explore gradually and in the presence of a familiar person. Otherwise, there is a possibility that the baby will be scared of the sudden new objects, new phenomena or new people. This way the advent of fears in a baby is usually a consequence of classical conditioning. If a novelty provokes fear in a baby, you shouldn’t force the baby to go near the novelty. Dealing with fear should run gradually. Don’t expect of your baby to overcome all mentioned activities. Overcoming activities, i.e. achieving results shouldn’t be more important. then encouraging babies to activities. Do you like this article? Did you found some useful advice on this? Please, share with us If you know some more way to promote the cognitive development in babies. We make better each other by sharing experience and knowledge. This is the great!!!!! Thanks for advice!! !